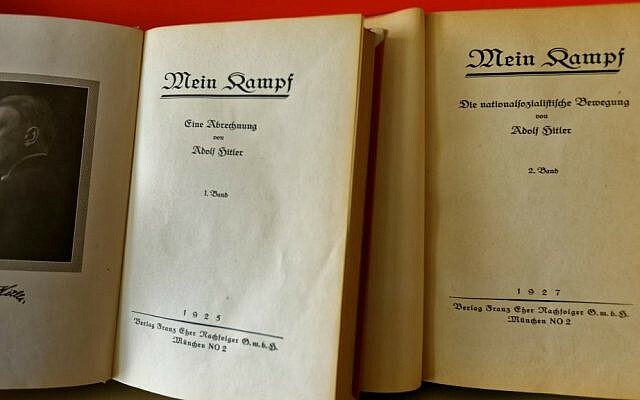 By contrast, when “Mein Kampf” came out for the first time, 91 years ago, German Jews hardly noticed it. 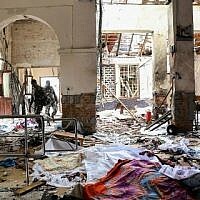 They certainly did not view it as a threat to their existence, or even as a harbinger of a changing political climate in the Fatherland. 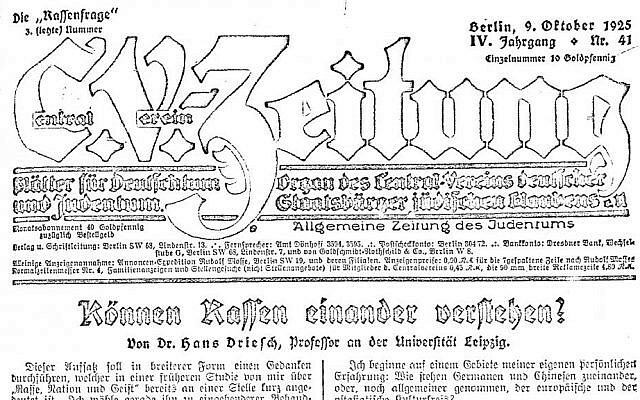 There were several Jewish papers in prewar Germany — Israelitisches Familienblatt, Jüdische Rundschau, Der Israelit, Das Jüdische Echo, Jüdisch-liberale Zeitung, and right-wing publications like Der Schild and Der nationaldeutsche Jude — but only one of them ran a short piece about “Mein Kampf,” which was essentially an excerpt from another paper’s review. 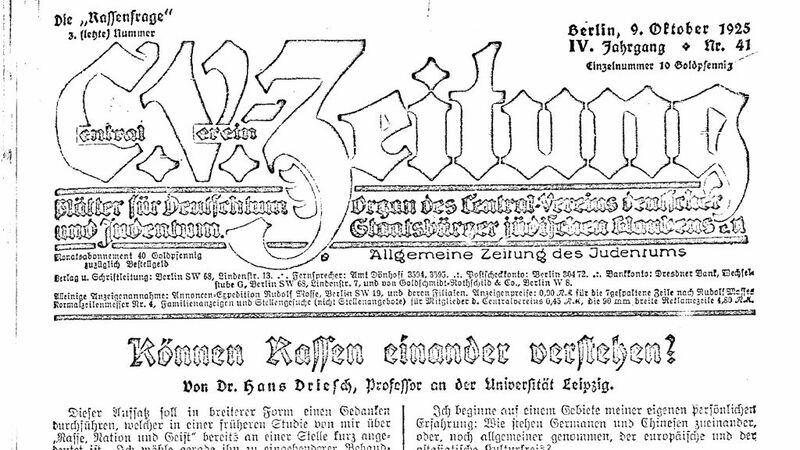 On October 9, 1925, C.V.-Zeitung of the “Central Association of German Citizens of the Jewish Faith” ran a short piece on page nine entitled “Rather than spirit, arrogance,” which did not offer its own critique of “Mein Kampf” but sufficed with quoting a negative review in the conservative Kreuz-Zeitung. “The Jewish newspapers mostly ignored Hitler’s book. 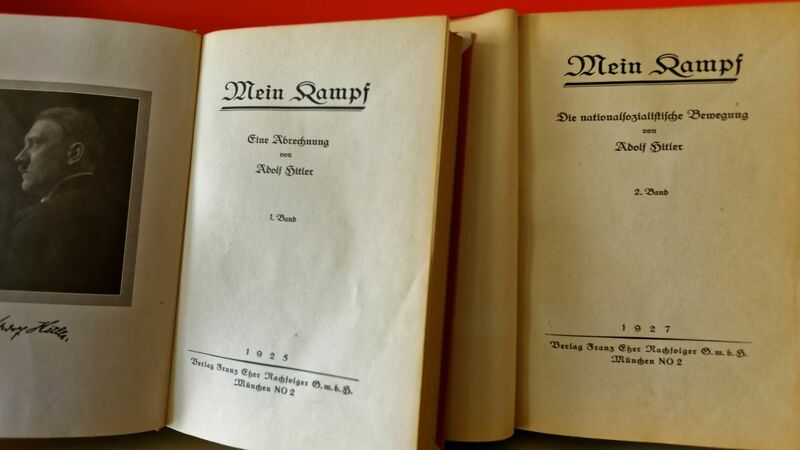 Now and then there were hints to the book, but no deeper discussion or analysis,” said Othmar Plöckinger, who recently published a 700-page book with many historical sources dealing with “Mein Kampf,” including 51 contemporary reviews. Only one of them was in a Jewish paper. “The anti-Jewish attitude of the Kreuz-Zeitung… is the best guarantee for the calm and correct judgment of the book and its author,” the C.V.-Zeitung declares. It then goes on to quote one paragraph describing Hitler’s book as superficial, pompous and repulsive. 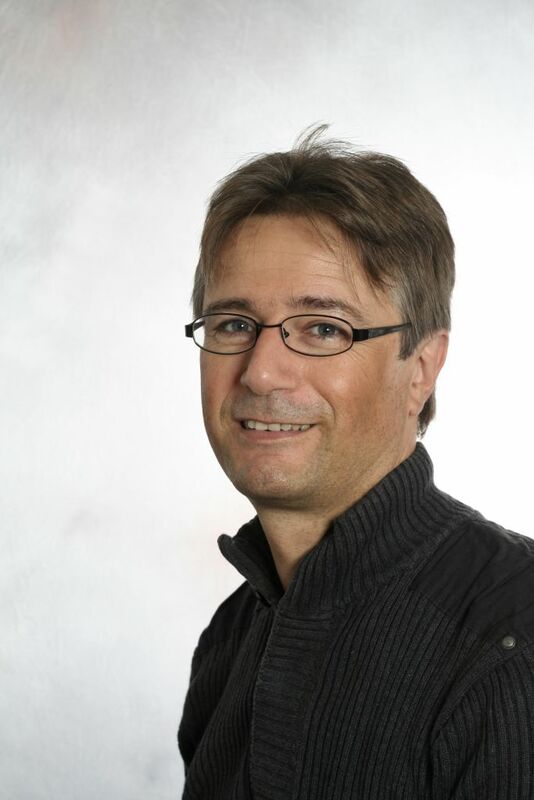 “One looks for spirit and finds only arrogance; one looks for inspiration and receives boredom; one looks for love and passion and finds slogans; one looks for healthy hate and finds swearwords,” the Kreuz-Zeitung’s reviewer laments. The editors of the C.-V.-Zeitung, a paper dedicated to “Germaness and Judaism,” have nothing to add. They promise their own review of the “völkisch Führer’s book,” but it never appears. “When Jewish newspapers reported about Hitler and his National Socialist Party, the main focus was on insults or attacks on Jews, desecration of Jewish cemeteries and so on, but not on the National Socialist ideology,” Plöckinger told The Times of Israel in an interview. When the Jewish press did examine anti-Semitic “ideology,” they mostly looked at “scientific” anti-Semites — adherents of eugenics — and not at Hitler and his book. 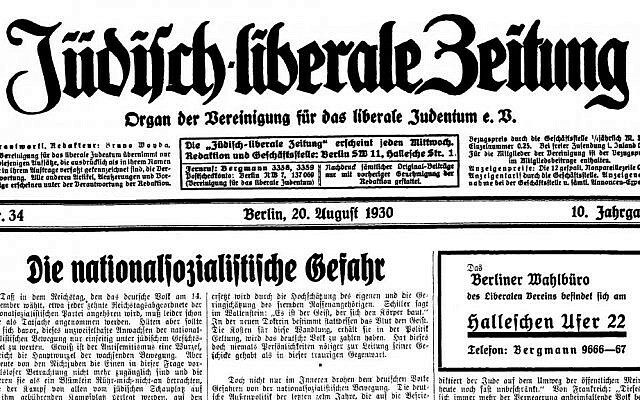 Until the late 1920s, Hitler’s party was just one of many völkisch and anti-Semitic movements that Jewish papers dealt with. But even as Hitler became more prominent, his party was seen as a “radical and brutal offshoot” of a much more important and influential anti-Semitic intellectual superstructure,” explained Plöckinger, who co-edited the annotated edition of “Mein Kampf” that was published earlier this year. While Jewish papers largely overlooked Hitler’s tome, that does not mean individual Jews and non-Jews opposed to anti-Semitism paid it no attention. They did, but they often dismissed it as poorly written, populist rubbish by a charlatan who should not be taken seriously. 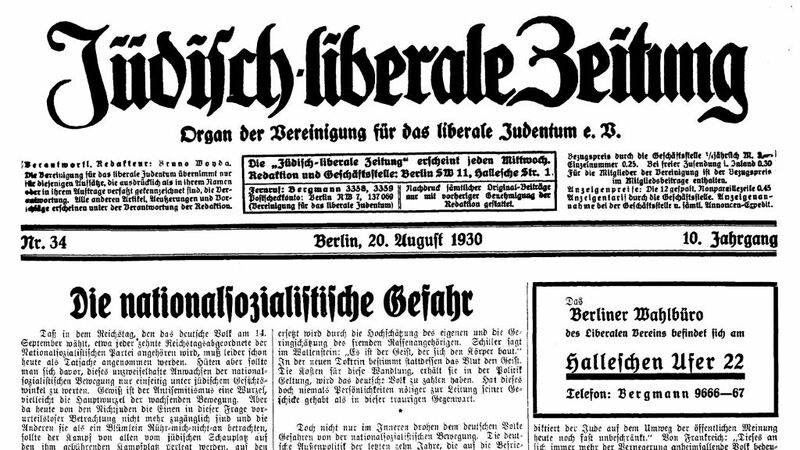 One notable exception is the Jüdisch-liberale Zeitung, which on August 20, 1930, ran a front page article, entitled “The National Socialist Menace,” which deals at some length with Hitler’s ideology as laid out in his book. On November 1, 1925, Stefan Grossman, who was born Jewish but converted to Christianity, published an extensive review of “Mein Kampf” in the Vienna-based Neue Freie Presse, a highbrow paper for which Theodor Herzl had written decades earlier. Grossman started his review by describing his first meeting with the book’s author, whom he met two years earlier when the “unsightly” and “incredibly trivial” Herr Hitler sued Grossman for an article critical of the Nazi party. Critiquing both the book and the man, Grossman quoted Hitler boasting of having read “infinitely and thoroughly” in his youth, but remarks that he fails to mention a single book that left a mark on him. “A few pages later, Adolf Hitler writes about this period: ‘In the evenings I was dead tired, unable to to look into a book without falling asleep.’ Of both accounts, the second appears to the more likely one,” Grossman sniped. 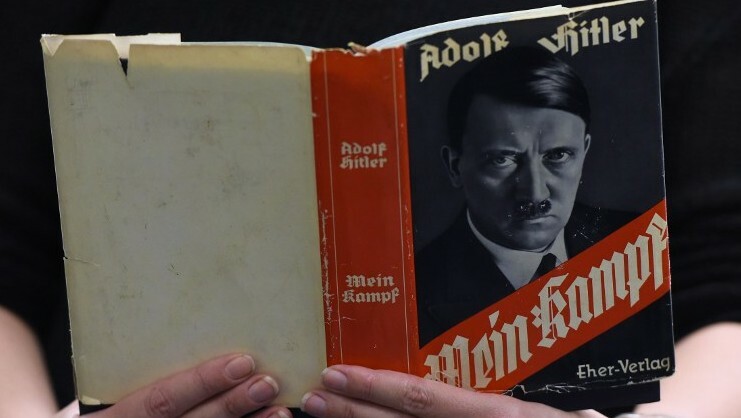 The most detailed and most devastating critique of “Mein Kampf” appears to have been written by a Catholic theologian. Johannes Stanjek was the editor of the Defense Papers (Abwehr-Blätter), the central organ of the Association to Resist Anti-Semitism, which was founded in 1890 and counted both Jews and Christians among its members. On October 20, 1925, the journal, which had a circulation of 20,000, ran a four-page review of the book’s first volume. The byline says Ludwig Kaempfer from Breslau, but since this name does not appear in the association’s membership lists nor in the city’s population register, Plöckinger believes it was Stanjek’s pen name. For instance, Hitler writes that Jews are so convinced of their race’s inferiority that they “want to poison the blood” of other people. Jewish men don’t marry Christian women, but the Christian man always marries the Jewish woman, Hitler argues. “We are perplexed,” the reviewer writes. “Real nationalists do not need to provide evidence for their claims, but let us take a look at the statistics.” He then goes on to quote exact numbers of mixed marriages in Prussia over the previous 20 years, which show that in fact there were more Jewish grooms with gentile brides than vice versa. Maybe “the tables should be turned around” so as to say that it is not Christianity but Jewry that is being “bastardized,” the author suggests. “Rest assured: Religious Jews will always oppose mixed marriages, just like the Protestant and the Catholic, but they are not fanatical enough to draw biological consequences like Hitler,” the review states. 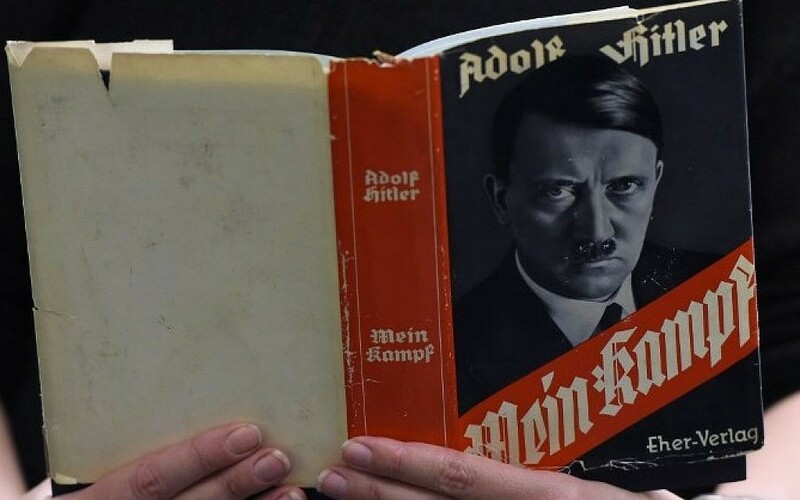 The problem with “Mein Kampf” is mostly that “much is claimed, yet little proven,” the review continues, and provides countless examples to debunk Hitler’s various theories. “The politician from Munich” blames the Jews for the Bolshevism of Bakunin and Lenin (who were not Jewish), talks about Karl Marx’s Jewish roots but forgets to mention that Friedrich Engels was a non-Jew. Hitler cites Jews involved in revolutionary movements but conveniently neglects leading Jews in conservative and reactionary circles. While full of facts, figures and cogent arguments, this scathing review of Hitler’s book concludes with a fatally mistaken assessment of Hitler’s future, a chilling reminder of how woefully naive many Germans were of the threat posed by his genocidal ideology. On February 21, 1927, the Defense Papers ran a review, also likely penned by Stanjek, of “Mein Kampf’s” second volume. It criticizes Hitler with the same sharp wit, though one gets the impression that the author is starting to grasp that Nazism is not a flash in the pan but becoming a mass movement. It is remarkable that this statement has not attracted even a little public attention, the article notes. After all, nothing describes the Nazis’ “eccentricity and foolishness” better than Hitler’s dismissal of “the so-called reason.” Once readers internalize this bit from the first volume they will no longer be surprised by the drivel served in the second volume, the reviewer writes. “And yet one cannot be silent about it,” he writes and proceeds to rebut some of the more outrageous claims. “A serious polemic about Hitler, after he declared war on reason, is certainly not in order,” he writes, and goes on to ridicule the future Führer. 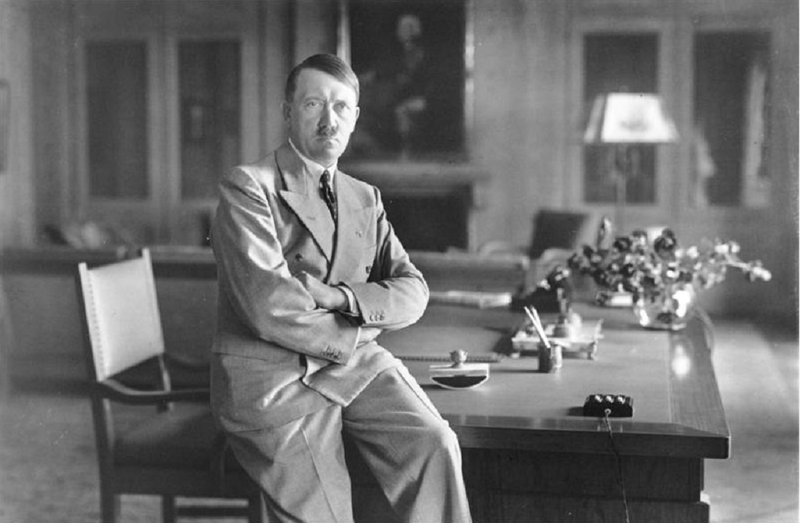 For example, he takes on Hitler’s “phantasies” about the “leaders of a hoped-for Jewish world empire” who work toward the destruction of Germany and Japan. “Oh, these evil Jews!” he exclaims sarcastically.” Or about Hitler’s call to execute “many tens of thousands” of criminals responsible for the November Revolution of 1918. “Here Hitler got alarmingly close to the point where only a pathologist can make a judgement,” he writes. In conclusion, the reviewer expresses the hope that the German youth, which increasingly supports Hitler, and their teachers and advisers, start realizing the folly of this growing movement. 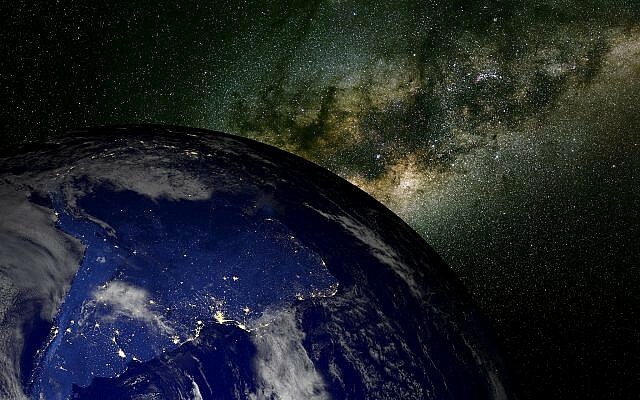 If Germany does not want to lose its good international reputation, he writes, it is about time to “energetically confront” it. Six years later, Adolf Hitler was appointed chancellor.